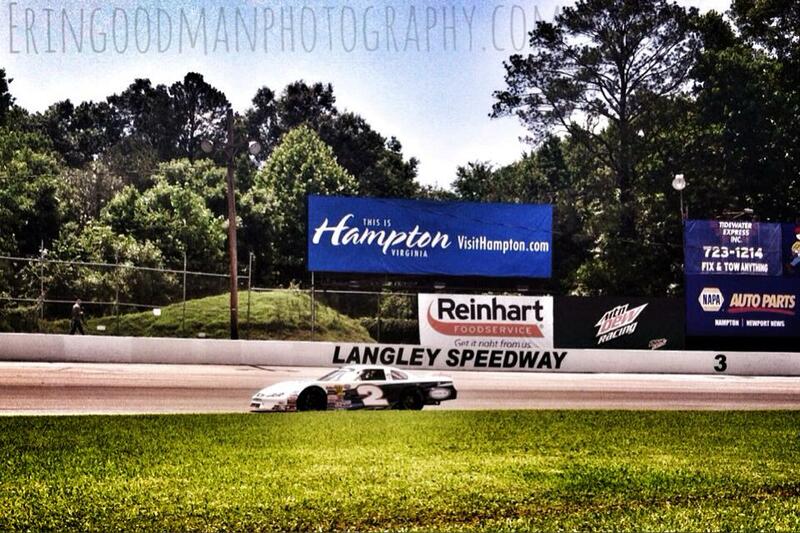 Newport News, VA – Well it has been just about two weeks since the completion of the 7th running of the Hampton Heat at Langley Speedway. The largest race in its seven-year history, the longest event in my twelve or so years at the track, let’s be honest maybe the most controversial race of the season and much, much more! The entire day was a blast for myself, getting to the speedway at eight in the morning, working alongside of Race22, not leaving until ten minutes till four in the morning. The whole experience was a blast for me. I can’t say the same for some others however. For those in attendance some cars got torn up (to be expected a bit, with so many cars on such a little track), some interesting calls were made, and huge swing in the points. Matt Waltz entered the Hampton Heat only a few points behind current point leader Greg Edwards. Sitting second in points, Waltz however has the most wins on the season at eight! What one could say made matters worse, Waltz was the car to beat all day in Friday’s practice as well as the two-hour practice session that day. Waltz was able to claim the pole for the event and actually set a pretty blistering pace on the field with names like Smith, McCaskill, Falk all trying to play catch up. Folks that was just the catalyst for a bad evening turned worse! Myself and my partner were not able to see what caused the damaged to the nose of Waltz but his hood looked like the front end of a crash dummy car! However, this was not what ended the night for the Waltz Racing crew, it was actually contact made with another car while under caution. Lap 175 was when Waltz made some pretty hard contact with the #21 of Mackena Bell, pretty much driving over top of the car. Fortunately for us Waltz shared what happened. We asked Matt if he felt the Hampton Heat put the breaks on his shot at a championship and if this means he will travel more hunting as many national points as he can. “Probably but I’m not too worried about it,” Waltz admitted. 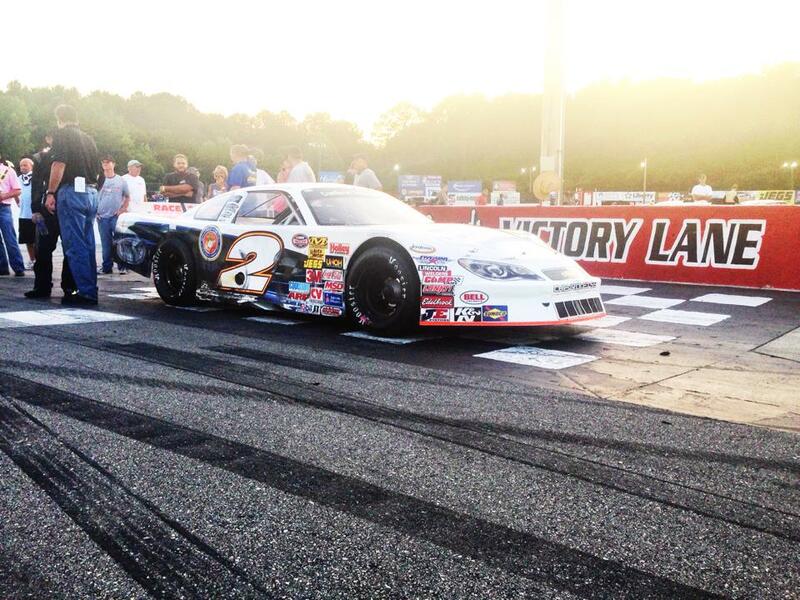 “I like winnin’ races more than being conservative and just goin after the championship at this point.” No better way to prove that statement than adding two more races to the win column this weekend as Langley Speedway will host twin 75 lap events for the Late Model Stock Cars this Saturday, green flag set to wave for the first race at 7:00 pm. After speaking with Matt it looks as if though the mind-set is that these things are in the past and lets focus on whats in front of us. From the sounds of it, doesn’t seem like to many things are going to be in front of that two car this weekend other than the pace truck! I also want to take this time to give you a little sneak peek into this weekends Driver Series interview, I will give you a hint, as of August 4th this driver sits 30th in the National standings and may have been mentioned a few times in this story. Make sure to tune in this Saturday!